Narita Hostel ... This was my first trip to Japan, and I was welcomed and picked up from the airport by the manager, who was quiet and respectful. The place was small and i think the only option for a cheap place near the airport. All in all, it was a goo experience. 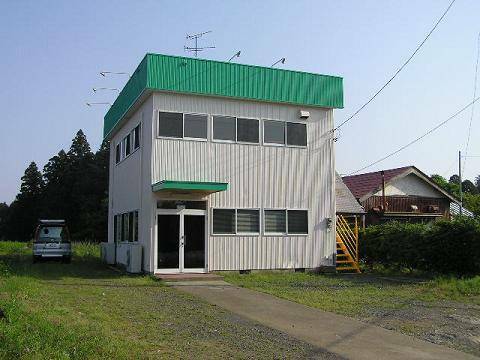 Narita airport hostel is located in 15 mins drive away. The hostel is convenient for early birds and late arrivals and suits for nature lovers and people who prefer countryside and quiet place. We supply FREE pick-up & drop-off services from/to airport. *No pickup service is available on 1/Aug between 18-22:00 due to Hanabi Fes. Any inquiry on these days, please contact the hostel. The hostel is in local area, surrounded by fields and forest. Planes preparing for landing pass nearby. but don`t worry. They are not noisy. It is not walking distance. it is about 8kms from the airport. Please call us first. From bus stop 13 in terminal 2, take airport shuttle bus for Yokoshiba-yakata beach to Shibayama-Chugaku(250yen). Then walk ahead about 10min(1k). You pass a 7-11 shop, police box, fire station. At a gas station(Idemitsu). Cross the road, go into small street 50m. You can see a 2 story square building with green line on top. The one is hostel.